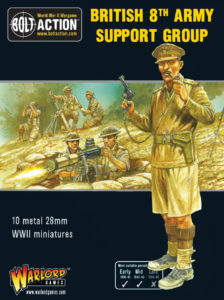 The Western Desert Support Groups are a fantastic way to add some key units to your Commonwealth or Afrika Korps army. These brilliant new sets combine several of our existing blister packs into one easy-to-use box, giving you everything you need to augment your existing force. If you’ve read our previous article, you’ll know how versatile these excellent sets are. You’ll get a Junior Officer, a Senior Officer, a Medic and a Forward Observer. If you’re looking to take your force to the next level, adding these versatile specialists is a great place to start. Add some firepower to your force with these rapid fire weapons! 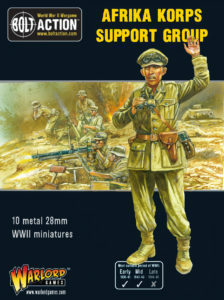 Mounted on a sturdy tripod and well-supplied with ammunition, these machine guns are incredibly useful for laying down suppressive fire in support of an infantry attack, or defend a key location with a barrage of bullets. 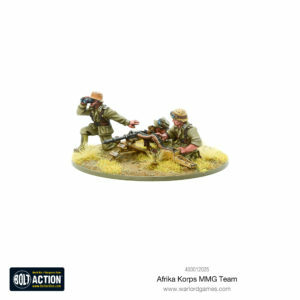 Afrika Korps players get the opportunity have another opportunity to take advantage of the fantastic Hitler’s Buzzsaws special rule, gaining an extra attack dice for their MMGs. Increase the mobility of your weapons team by mounting them in a vehicle, allowing them to rapidly redeploy to where they’re needed most. Medium mortars are a cheap way to add some long-range firepower to your force. 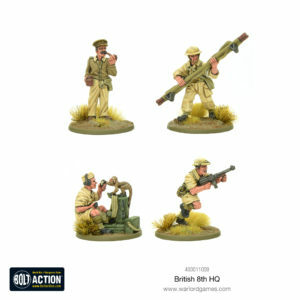 Despite their relative inaccuracy, they are perfect for engaging dug in targets or laying down smoke to cover a close assault. Much like MMGs, they lack mobility but make up for it in raw firepower. Bombard the same target for long enough and you’ll soon find your range and start pinning the enemy down. 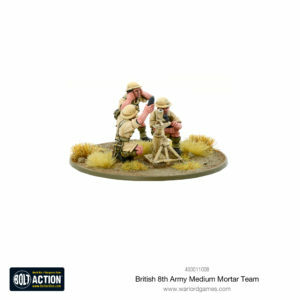 Create a makeshift battery by making up some plastic light mortar teams and really lay down some hurt. 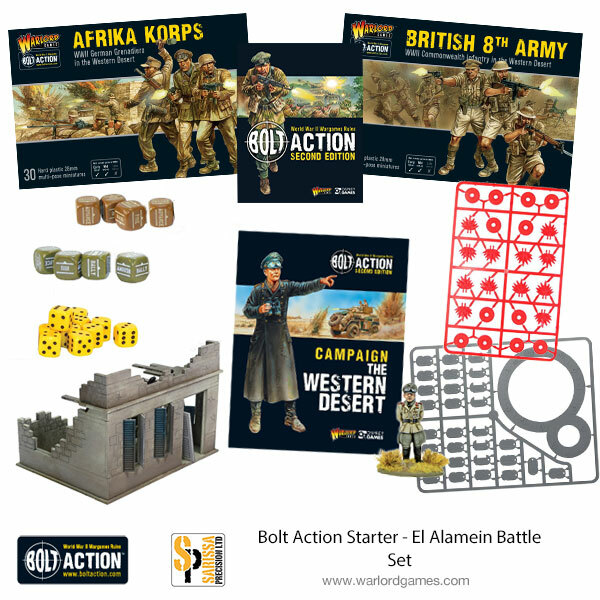 Both Support Groups are available from our webstore today and a perfect complement to the El Alamein starter Set! 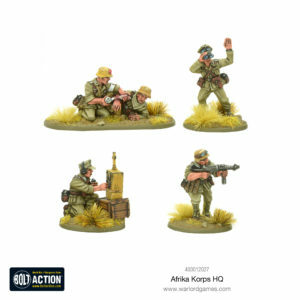 The post Frontline Report: Western Desert Support Groups appeared first on Warlord Games.